The entrance is the space that gives the first but also the last impression of your home. Thereby, you want to make this space exist, and decorate, furnish, and light it carefully. After all, what is more enjoyable than walking into a warm, welcoming home? For your guests but also (and perhaps more importantly) for yourself, make sure to put thought and care into your entrance space. Your home doesn’t actually have an entrance hall or room? No problem, you can still materialise one. If your entrance door opens directly into your living room, you can create a small space separated with a few accessories and no building works. For example, you can place a screen in front of the door. Then, to really convert this new space, you can place lamps, a small shoe rack or unit, a slim tall vase… In short, the screen allows you to create a physical separation in just a few minutes. And to help you personalise this little area without harming your wallet, we’ve picked selections of Home favourites from Debenhams, that you can shop with a Debenhams discount code. RJR.John Rocha Tall silver hammered vase; Home Collection Annabelle Silver Metal Table Light; Willis & Gambier Oak and painted ‘Worcester’ butcher’s block unit; Debenhams Bone inlay ‘Ankara’ side table; Butterfly Home by Matthew Williamson Wooden ceramic 6 drawer unit; Home Collection Brody Wooden Floor Lamp. 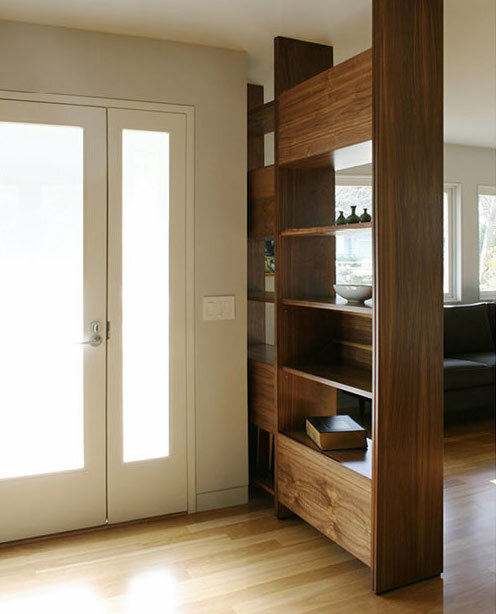 In the same vein, you can install Japanese panels by fixing the, to a rail on the ceiling, or perhaps a curtain. In this case, play with colours and materials: veiling or opaque curtain, you choose! Finally, to delimit this welcome space, you can also opt for the glass panel solution. Very chic with an industrial loft feel allowing the light to flow through, the glass panel is the go-to decoration solution at the moment. To create a reception space in your living room, you may want to revaluate the layout of the entire room. Indeed, thanks to furniture, you can easily create different, distinct areas within one same room. For example, rather than place the sofa with its back to the wall, why not place it in the middle of the room so that its back faces the entrance door? Then use the back of the sofa to place a little furniture unit or a decorative element that will be adapted to a home entrance. 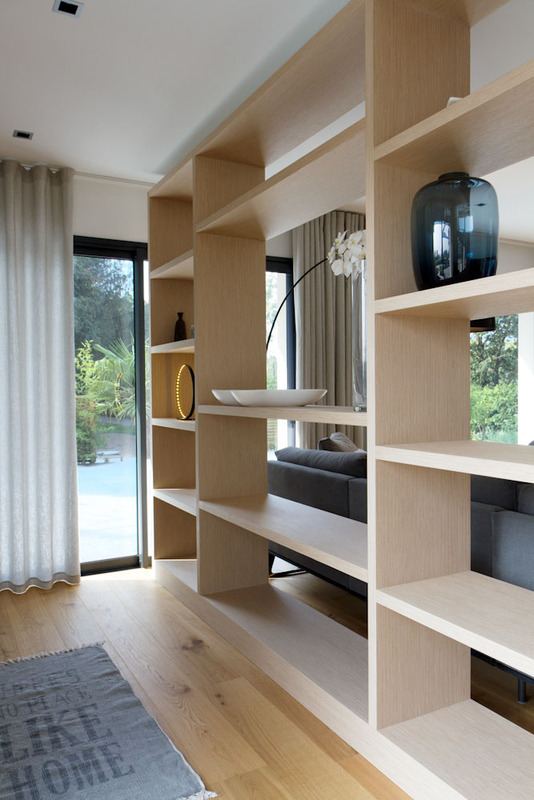 If you can’t move your sofa according to your living room configuration, you can also place a large shelving unit or bookcase in front of the door. A large piece of furniture will allow you to create a physical separation between the entrance hall and the living room. If you don’t have enough room or don’t wish to place furniture or a curtain to create a separation, you can still play with colours. These allow you to create visually distinctive spaces so as to materialise a limit between the reception space and the living room. 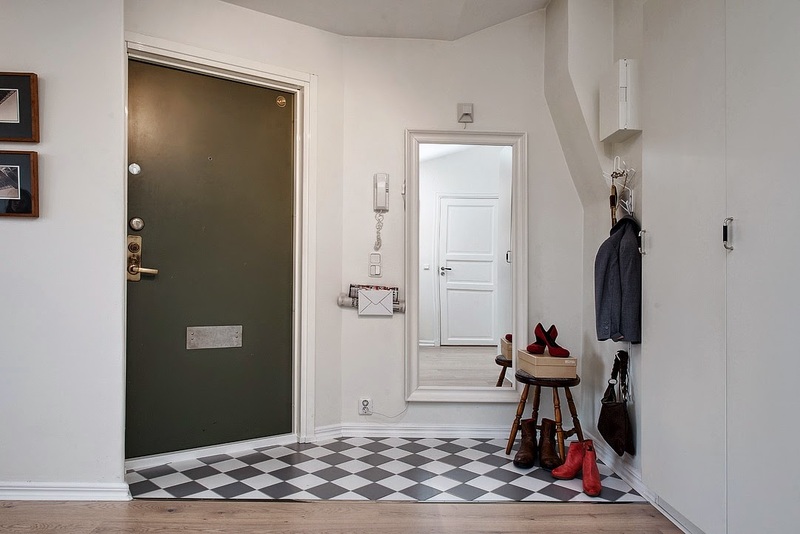 For example, you can repaint the door frame in a totally different shade from the living space, then have hints of that colour near the door, with some trendy accessories. This way, thanks to colour contrasts, the entrance will be visually marked. Guaranteed effect!